It’s time for a countdown that is colored red and pink and filled with love! 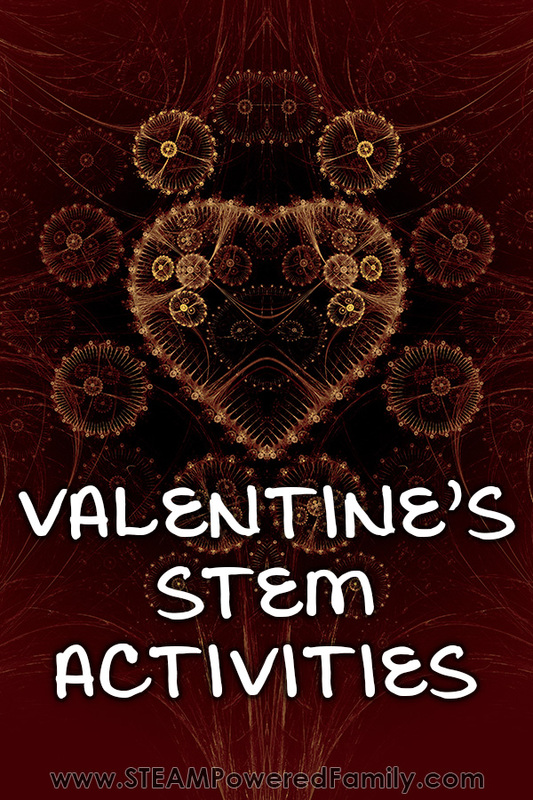 Countdown to Valentine’s Day with over 14 exciting Valentine’s STEM Activities for elementary children. 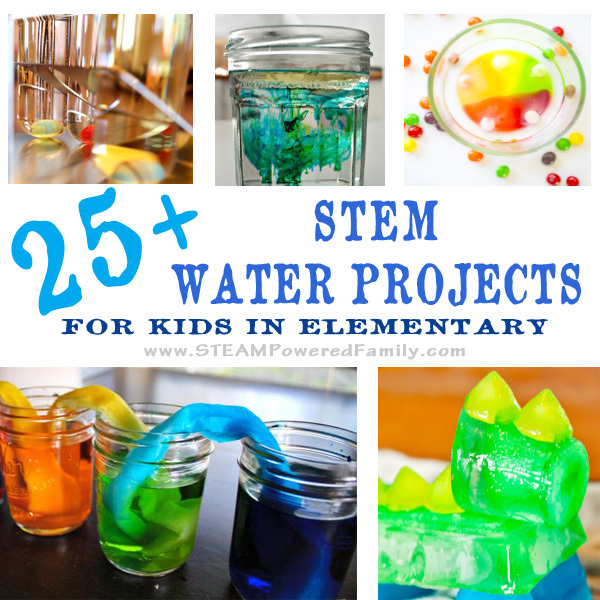 Science, Tech, Engineering and Math Challenges that are sure to keep kids curious and excited to learn. 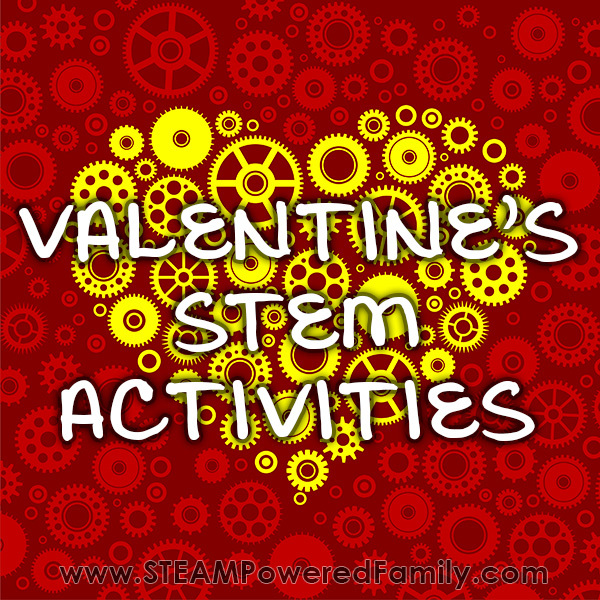 Hands on activities will keep busy hands and busy minds happy for Valentine’s Day! 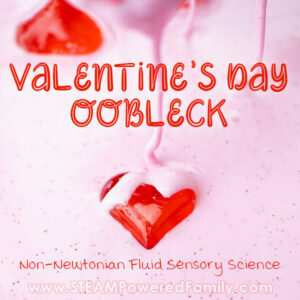 Valentine’s Day Oobleck – This beautiful oobleck is a great sensory science project for Valentine’s Day. Kids will love exploring this non-Newtonian Fluid as they learn about Fluid Dynamics. 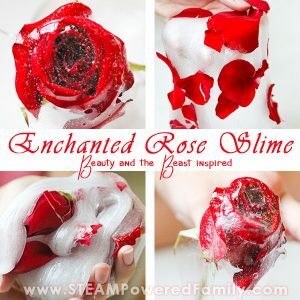 Enchanted Rose Slime – Try some more sensory science by making this gorgeous rose slime inspired by the Enchanted Rose in Beauty and the Beast. 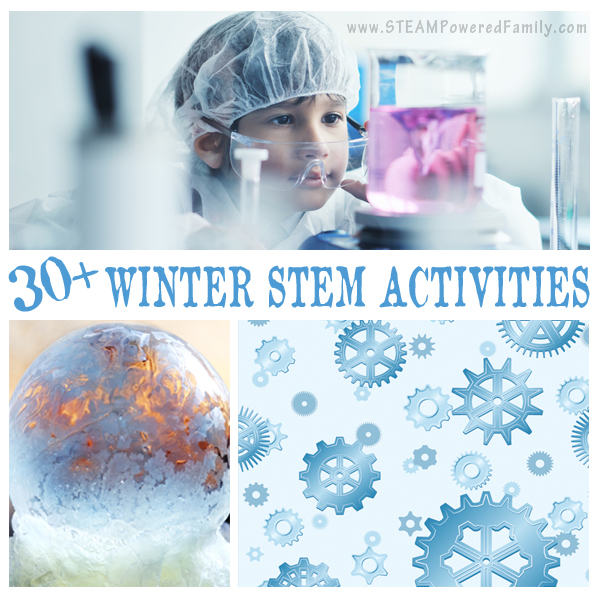 Amazing sensory science for Valentine’s Day! 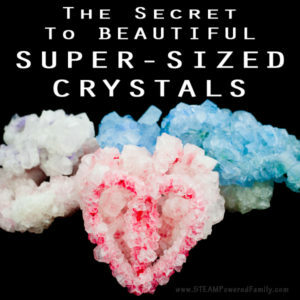 How to Grow Giant Crystal Hearts – Make sure your crystals reflect how much you love with this trick for growing giant crystals. It also shares a lesson in the natural crystal formation process. 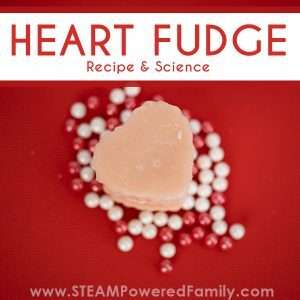 Valentine’s Day Fudge – Learn about crystallization and candy science with this delicious Heart Fudge Recipe. 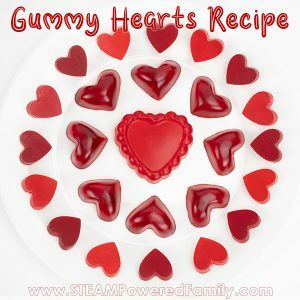 Hearts and Flowers Gummies Recipe For Valentine’s Day – Study how polymers work, and how delicious they can be, with this simple Gummy Recipe. Candy science is always the best! Build Valentine’s Day Rockets – What kid doesn’t love rockets? We love this activity idea and can’t wait to build these special Valentine’s for our friends. They are going to be a huge hit! 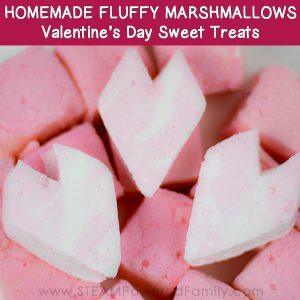 Homemade Heart Shaped Marshmallows – Your Valentine will love these homemade sweet treats shaped like hearts. 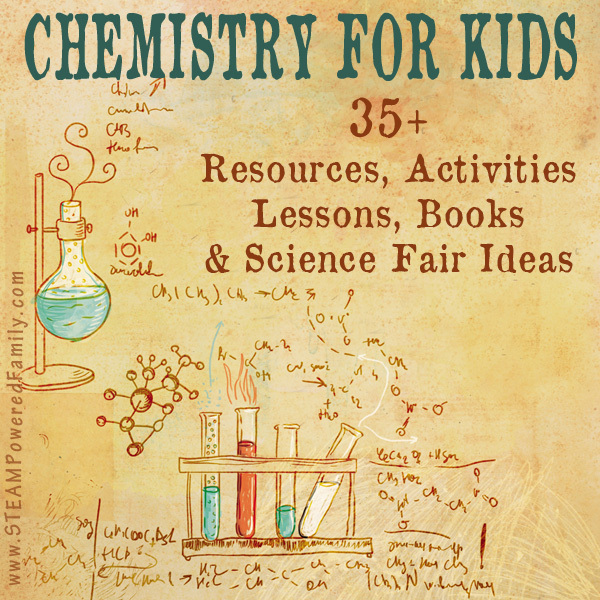 Making marshmallows is a fun activity that uses some fascinating science principles. 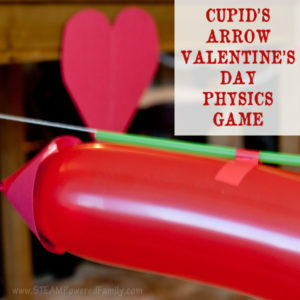 Cupid’s Arrow Balloon Races Physics Challenge – This activity is what you need for your Valentine’s Day party or to work off some of the sugar. Teach kids about Newton’s Third Law of Motion while getting them up and moving! Inflating Hearts Science Experiment – Watch hearts grow and grow and GROW with this science experiment that explores chemical reactions. 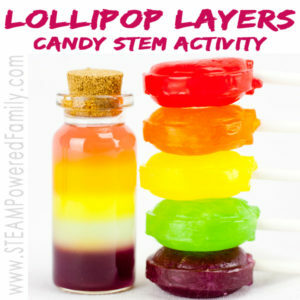 Layered Lollipops – This density experiment is a fantastic challenge, with beautiful results. Make yours variations of red like they did at Lemon Lime Adventures for a little extra holiday love. 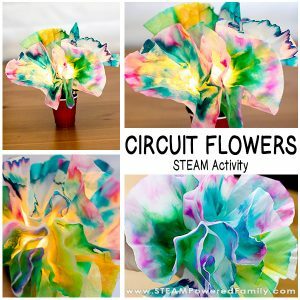 Circuit Flowers – A simple circuit activity spin off of our popular Circuit Bugs, these gorgeous flowers are the perfect way to show someone how they light up your life! Light Up Valentine’s Circuits – We love building circuits and this cute idea for creating Valentines that light up is just the perfect STEM activity for elementary aged kids. Valentine’s Day Coding Activity – Coding without a computer? Craft hearts with secret messages created in binary code. A wonderful way to learn binary while writing messages for those you love. 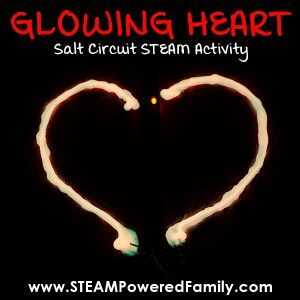 Simple Glow Heart LED Circuits – This is a phenomenal first circuit activity for kids using glue and salt. A great way to bring some STEAM to Valentine’s Day! 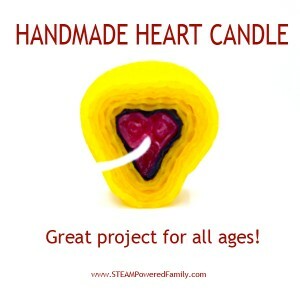 Heart Shaped Candles – Try your hand at some tricky engineering with beeswax and make a heart shaped beeswax candle. Make sure you get that math right so your heart is exactly right! Lego Heart Engineering – We all love building with Lego! Challenge your kids to create hearts and other loving designs with Lego as we countdown to the big day with our Valentine’s STEM activities. 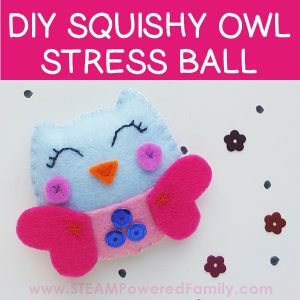 Owl Stress Ball Squishy – Why not have your tweens and teens engineer and make themselves this cute owl squishy stress ball with heart wings! They can even customize it to their sensory preferences. Valentine’s Day Math Game – This game is perfect for your young elementary students who are just learning adding and subtraction. My son loves the hands on nature of this one! Valentine’s Day Scrabble Math – This is such a fun idea and it incorporates spelling and math! Perfect! Valentine’s Day Algebra – These puzzles are perfect for your older kids! Use math to solve the Valentine’s Day riddle. 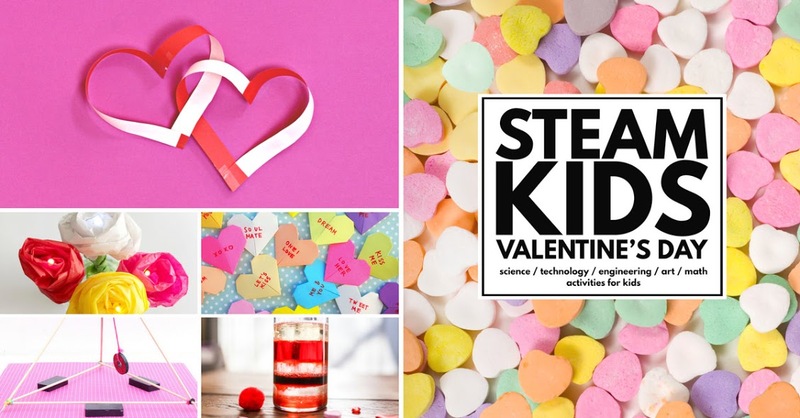 For even more Valentine’s Day STEAM inspiration, check out STEAM Kids Valentine’s Day. It’s packed full of inspiring and educational activities.